The golden sands of Mawgan Porth are are formed by Atlantic gales and pounding waves. 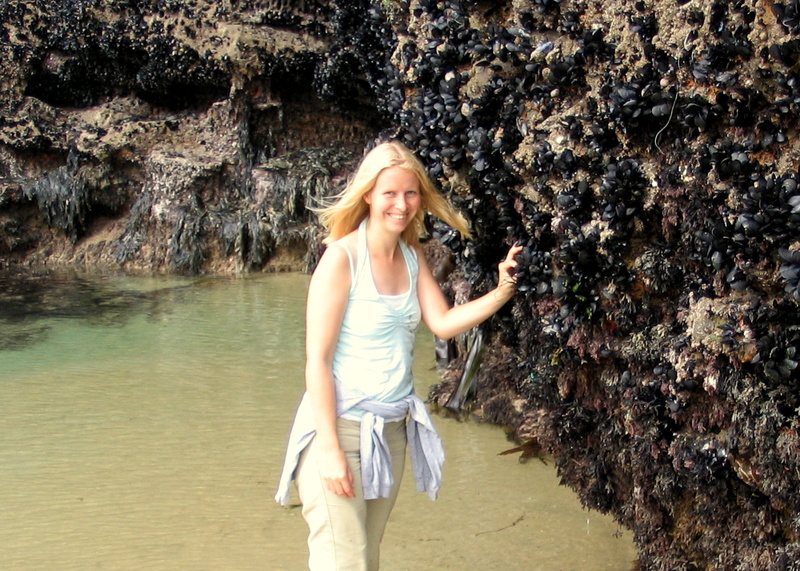 It’s a tough environment and the marine creatures that live here are experts at hiding in the sand or clinging to rocks. 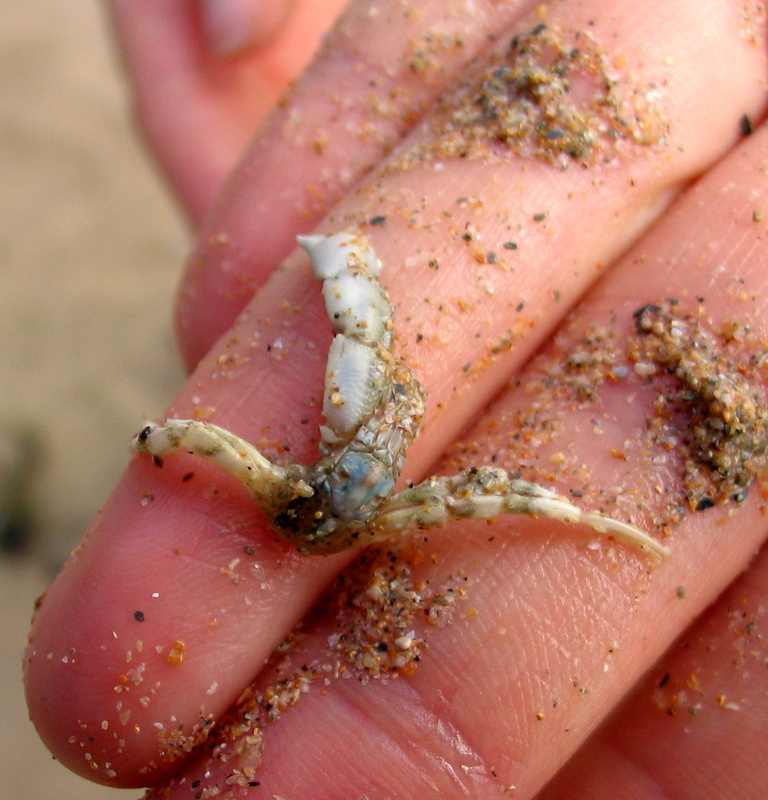 You may have to look harder than on sheltered shores, but rock-pooling here can be rewarding and surprising. Please note: The tide comes in quickly on the lower shore. Always stay well clear of surging waves, watch the tide very carefully at all times. Caves are interesting to explore, but make sure your exit is clear at all times. Stay clear of any unstable cliffs. Mawgan Porth is located on the B3276 coast road and the coastal footpath between Newquay and Padstow. It is served by a bus that runs from Newquay to Padstow. There are car parks near the beach. There are shops, cafés and facilities immediately beside the beach. The Merrymoor Inn and some of the shops are open all year. The beach is lifeguarded during the summer. Pools often form in the sand and near boulders on the beach. These are ideal places for children to find brown shrimp, common prawns, green shore crabs, sand gobies and shoals of young fish trapped by the tide. Larger fish such as butterfish and shore rocklings can sometimes be seen in the larger rockpools, especially on the northern side of the beach. 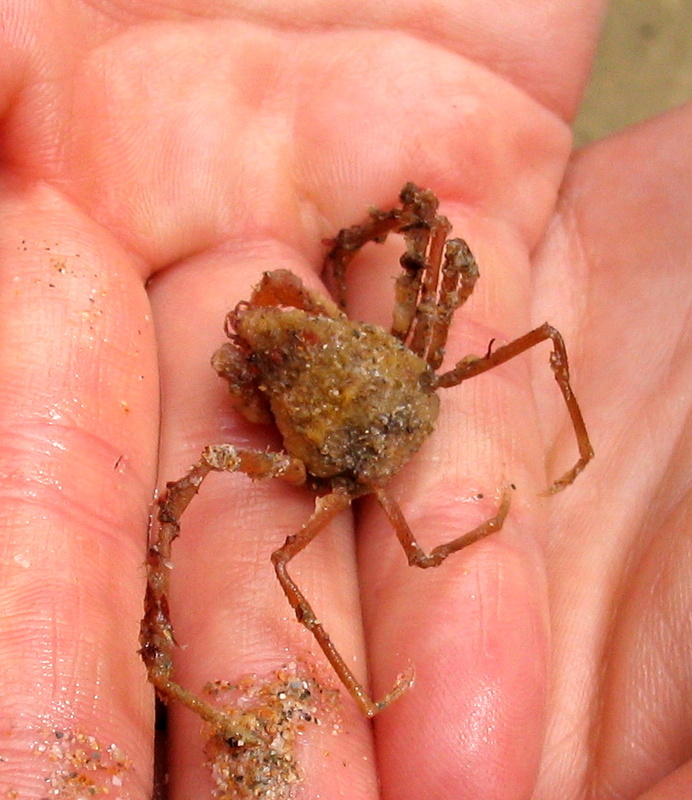 Swimming crabs and sea-potato urchins live buried in the sand and the beach is often strewn with the tiny moults of the wonderfully named ‘diogenes pugilator’ hermit crabs – cast off as they grow. 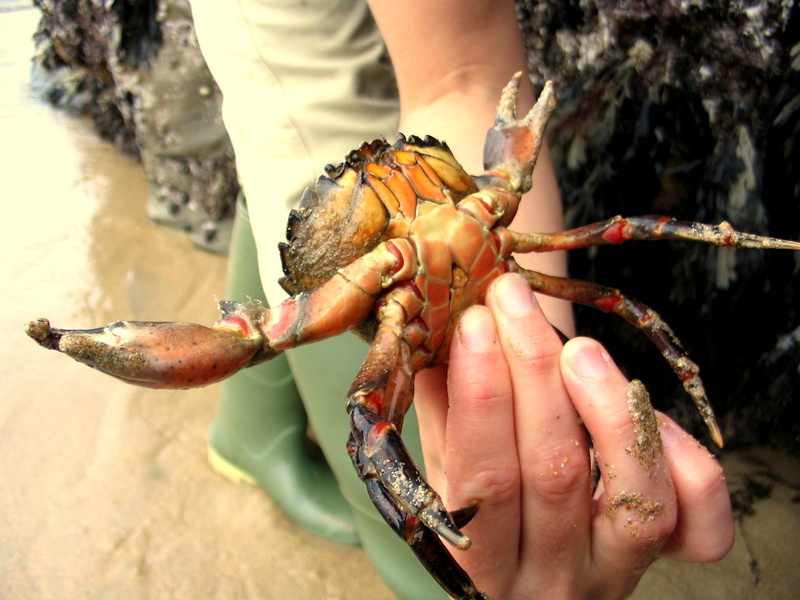 For the best rockpooling, choose a calm day and a low spring tide. The large mussel-bound rocks at the low water mark are home to a huge range of creatures. Look out for bright anemones and sponges, bulgy-eyed shannies resting deep in crevices and celtic sea slugs. If it’s safe to approach the cliff base, look for large edible crabs and green shore crabs wedged under overhangs, sea lemon slugs, spiny starfish and tiny spider crabs. If you can’t reach the lower shore, try beach-combing instead. Those Atlantic rollers fling all kinds of interesting things onto the tide-line. 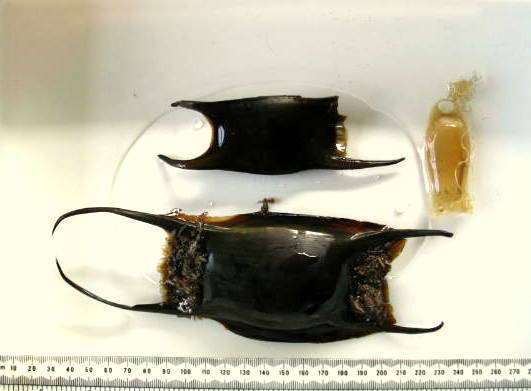 Look out for mermaid’s purses (shark and ray egg cases), balls of whelk eggs, cuttlefish bones, goose barnacles, jellyfish and more.